koreporter: Yoohoo! The Girls Generation! the number of male watchers rocket up. The reason for this spike in male watchers is SNSD (So Nyeo Shi Dae) aka Girls Generation. 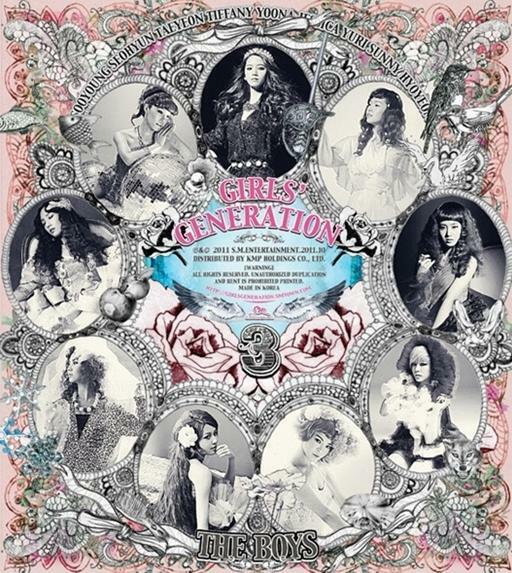 The name Girl's Generation has been given recently only after they became popular in European and English-speaking countries. 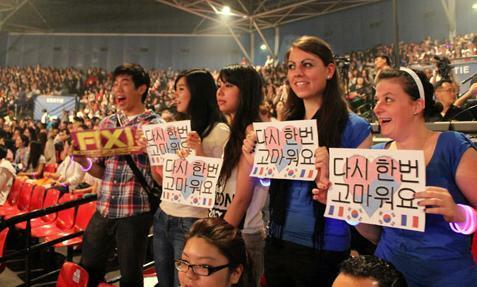 Among the countries stood out France for its love for the Girls Generation. Here's how France ranked the the group members from most popular to the least. Wait, no, wait a minute. That can't be true. 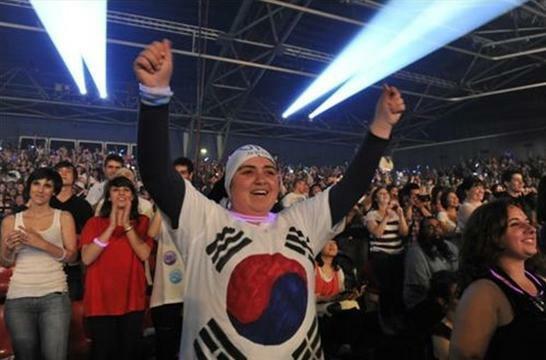 Do you see the difference between the ranks in Korea and France? Yoon A, who comes and goes between #1 and #2 in Korea turns out to be all the way down in #9 in France. On the other hand, Hyo Yeon, the least popular member in Korea, is way up in #1 in France. 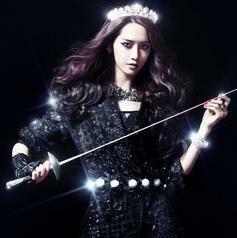 Not to pick a side, but in Korea, people call Hyo Yeon by her nickname "Hyork"
This nickname is a shortened version of Hyo Yeon Ork (Ork is supposed to be an ugly creature from the Lord of the Rings). 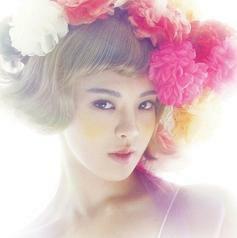 That's how ugly she is thought as in Korea. But it happens that she looks the prettiest to French eyes. I'm happy to see her finally have a chance to shine among the other group members. I guess there's a difference in the standard of what beauty is. Speaking of standard of beauty, I did notice some differences when I came back to Korea after living in Chicago for three years. Many western standards of beauty may include high cheekbones because many western societies adore women who gives off the feeling of independentness and self confidence, the effect which high cheekbones give off. However, in a yet slightly male-dominant Korean society, people prefer small face sizes and lower cheekbones that give off feelings of obedience and prudence. ﻿I guess beauty really is in the eye of a beholder. 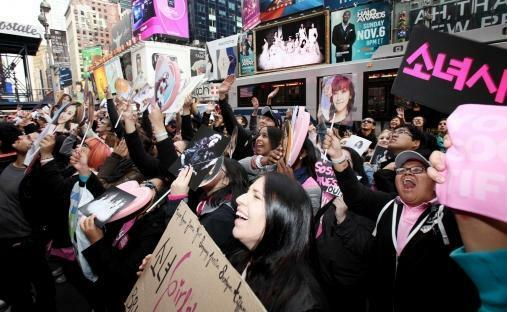 The Girls Generation (SNSD) is on the first page of New York Newspaper! that is still taking over, fast and sturdy. 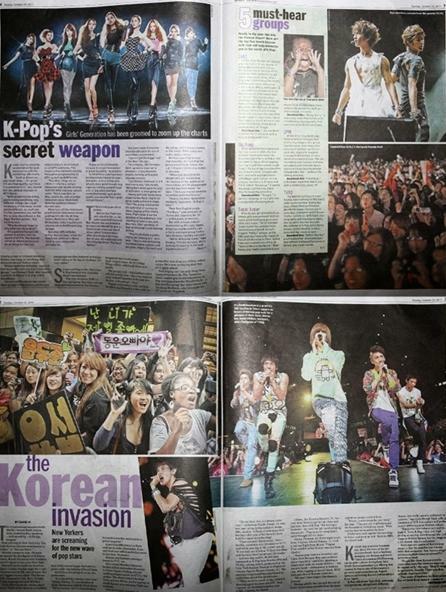 The writer put it the right way: "attack of the K-Pop stars"
The picture right above shows k-pop stars from the popular SM entertainment up for a world tour. 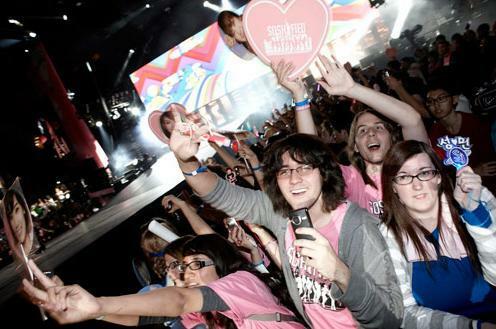 Build up the height of the water before creating another k-pop tsunami? This is pretty big, so I'm going to leave the picture's size as it it. 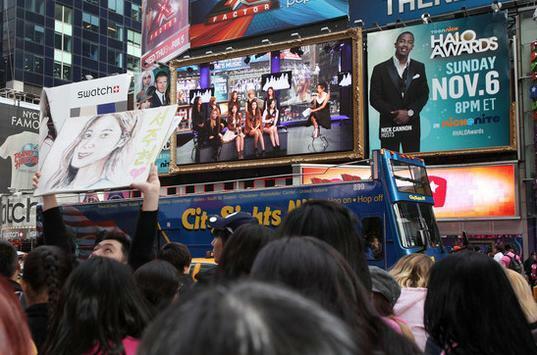 Below is the picture of Girl's Generation up in MTV! were on the large screen for the public to see. Look at all these fans with their names on those big cardboards. ... this is sad but they write Hangeul (Korean letters) prettier than I do. people who couldn't buy the ticket in time, but this time it sold out in less than 10 minutes. 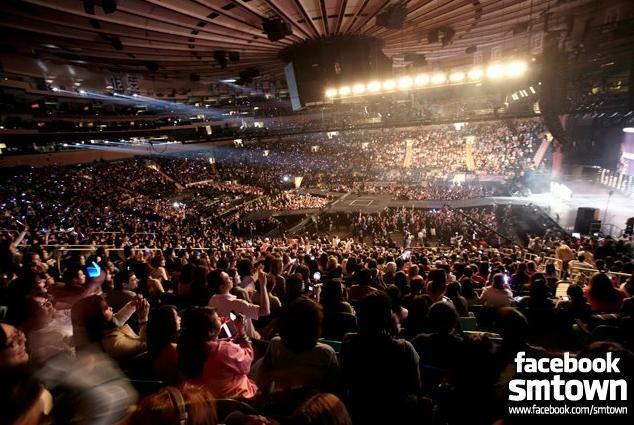 It's so amazing and great to finally have k-pop get popular internationally. There's been so many trials and failures, but in the end, it finally got what it wanted. before the album for their waiting fans. Needless to say, they've been taking up no.1 in many search engines in Korea. Personally, I think that it's good to be pretty, but I hope more members were better at singing. if they put a little more effort in practicing singing. Not only for music but also for almost everything else.